Want a free 9 pc ergonomic hook set (express shipping), MasterClasses to learn to read any pattern and 10 premium patterns? Click here to learn more now. Crochet designer Lorene Eppolite offers valuable tips and tricks for choosing yarn weights and hook sizes for various crochet projects. One of the greatest things about crochet is that you don’t need a ton of materials to get a project started. In fact, it may be the most streamlined craft around! All you truly need is yarn, and a hook is very helpful. Of course within that brief supplies list, you have a few options. Yarn is available in a range of fibers, from natural to synthetic, and can even be made from recycled matter. Crochet hooks are also made from several types of materials, such as wood, aluminum, and plastic. Once you determine the fiber you want to use for your crochet project, you’ll need to consider the weight of the yarn. Yarn comes in weights 0 – 6 : the smaller the number, the thinner the yarn. Of course you’re not limited to these projects, and it can be fun to experiment with different weights once you’re comfortable with a particular pattern, but these guidelines are great for beginners. The most commonly used yarn is worsted weight, because it is right in the middle and is the most versatile. 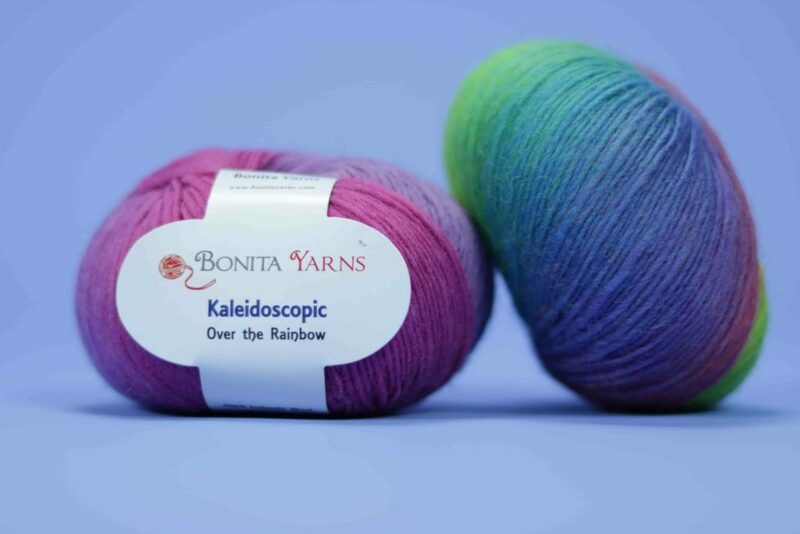 Along with weight, yarn labels will also give a recommended hook size to use with the yarn. You can go generally go up and down a hook size and still get a similar result. Using a smaller hook will usually give your project a stiffer feel, whereas using a larger hook will give more drape and movement. Smaller hooks also produce a denser fabric, while larger hooks will have a more lacy effect on your project. You can check your gauge with a swatch to be sure. The hooks most commonly used with worsted weight yarn are 5.5mm, 6.0mm, and 6.5mm. A lot of people also use the 5.0mm hook with this popular yarn. Yarn is available at all different price points. In general, less expensive yarns are lower quality, and more costly yarns are better quality, but this is not always the case. It’s important to factor in the size of your project when you’re calculating the total cost of the yarn that you will use. For example, if you’re setting out to make a large blanket, you’ll likely want to go with a more affordably priced yarn because you know you’ll need more than a couple skeins. If you’re selling items, make sure you think about the price point of the final product so you don’t select a yarn that ends up eating into your profits. There are many things to consider when determining what yarn and hook to use, but it will become second nature once you have followed a few patterns and experimented with different yarn weights and hook sizes. What is your go-to yarn or hook? Share in the comments section! My favorite hook sizes are H and I and I used to just like #4 weight yarn but now I’ve been getting into making triangle scarves with #3 weight Mandalla. Bernat baby coordinates with a J or K for baby blankets, f for booties, g for hat. This makes a nice set for a new baby. I found it Informative. I’m kinda new at crocheting, thanks! Hmmm well I guess I better get my rear in gear and get back to crocheting 🧶 along with the knitting I THOUGHT 💭 I LIKED BETTER until I saw this guide to yarn 🧶 and crochet hooks. Hey I have the hooks and the yarns so ya I’m gonna just DO IT Y’all !!!!! Hi Denise, yes you can find the pattern for that cardigan in the student download file of Lorene’s video course, “Elevate Your Crochet to Professional Level” when you sign into your CreativiU Elite account. How do you tell size of hook if no numbers or letters on the needle? Hi Caren, you can use a measuring tape to check the diameter (not circumference) of your crochet hook in the space between the hook itself and the grip where you hold it. It will be in millimeters. Just remember to measure across, not around! Thank you for reviewing yarns a nd hooks. My Grandma taught me to knit but never crochet. I’m excited to get started. Really enjoyed the video I didn’t relize there was many different yarns out there more to look for now.